A cancer typically found in older adults has been killing younger and younger people. Colorectal cancer rates have been increasing in 20-to-30-years olds for reasons unknown in the past. But a new study may provide a valuable clue as to why this killer has been on the rise. What is the clue the researchers found? I’ve seen more and more cases in my office and it’s heart-wrenching. This problem is actually getting worse, so it’s great that scientists are looking into why this may be happening. This new study followed over 85,000 women between the ages of 25 to 42 for roughly 22 years. And the women who were obese with a body mass index of 30, had the highest risk for early-onset colorectal cancer. They were twice as likely to be diagnosed than those with a normal body mass index. Do the researchers have any ideas as to why obesity is linked to Colorectal cancer? The reason that obesity could be the driver behind this, is because it’s associated with inflammation. Chronic inflammation can set off your body’s inflammatory response. And this can damage healthy cells and mess with how your body would fight off things that harm it like viruses and disease. But let me point out that you can be young and fit and still be diagnosed with colon or rectal cancer. When it comes to inflammation, could what you eat play a role? Yes, pro-inflammatory foods like processed meats, red meats, refined grains, sugary drinks have been linked to a significantly higher risk of developing colorectal cancer. Instead, I recommend you eat foods that fight inflammation like fruits, nuts, leafy greens, and fatty fish. And it’s also important that everyone gets screened for this deadly cancer. However, these don’t typically start until you’re 50. So it’s really important to know the symptoms, like blood in your stool, stomach pain or cramping and unexplained weight loss. If you have any of these, please see your doctor right away. 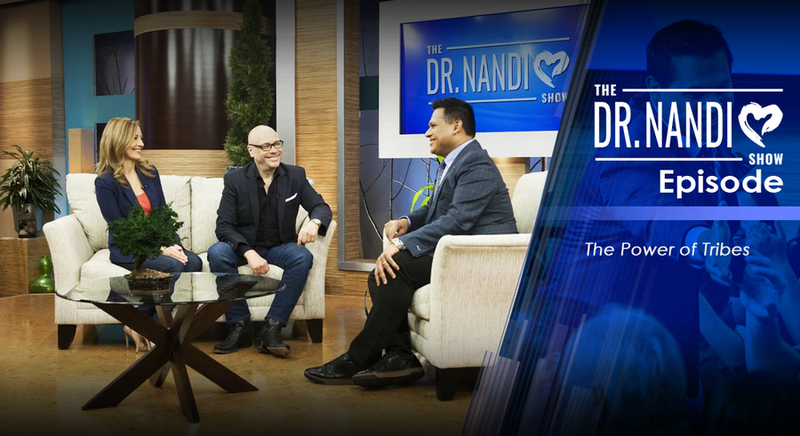 This week on the Dr. Nandi Show, you’ll learn The Power of Having a Tribe. It’s been proven time and time again that people with close relations throughout their lives are generally healthier. I’ll explain what Tribes are along with my special guests Nobel Peace Prize nominee Bryant McGill and our very own Motown legend, Susaye Greene. Join me this Sunday at 1 pm right here on WXYZ.